The Austin Board of REALTORS® (ABoR) has provided support for Central Texas real estate professionals since 1926. All that time, ABoR has provided Central Texas REALTORS® with the tools they need to succeed and place clients in homes they love. 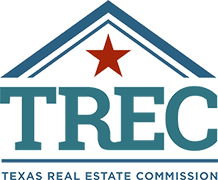 Texas Real Estate Commission (TREC) exists to protect and serve the citizens of Texas. The Commission’s programs of education, licensing and industry regulation ensure that real estate service providers are honest, trustworthy and competent. Not all real estate agents are REALTORS®. Only those who agree to abide by a code of ethics that goes beyond what the law requires may join the Texas Association of REALTORS®. Applicants for a broker license will need to have four years of experience as a licensed salesperson, plus demonstrate practical competency by providing a detailed list of brokerage activities engaged in by the applicant during this same period. A minimum of 180 classroom hours of Real Estate instruction, comprising of five mandatory courses, is required to sit for the Texas Real Estate Sales Licensing Exam. Students are encouraged to download and retain this Real Estate Program Map. Students can use this fillable PDF form to track their progress by checking off completed courses, by adding course notes when discussing with an academic advisor or when planning their class schedules. Texas has only two real estate licenses: a Broker License and a Sales License. If you hold either license you can perform all real estate activities for which a license is required. You must complete Qualifying Education, where the courses and institution are certified by the Texas Real Estate Commission (TREC). Students are encouraged to consult with TREC for the lists of Qualifying Education Providers and Qualifying Continuing Education Providers. ACC Real Estate College Credit Program is certified to offer Qualifying Education and here are the certification letters for those credit courses. Texas House Bill HB 1508 – For students in Real Estate courses who may have a criminal background, please be advised that the background could keep you from being licensed by the State of Texas. If you have a question about your background and licensure, please speak with your faculty member or the department chair. You also have the right to request a criminal history evaluation letter from the applicable licensing agency. If you are interested in working in real estate, you should be mature, highly motivated, flexible, organized, and detail oriented. The Real Estate Department is accredited by the Accreditation Council for Business Schools and Programs (ACBSP). Monetary systems, primary and secondary money markets, sources of mortgage loans, federal government programs, loan applications, processes and procedures, closing costs, alternative financial instruments, equal credit opportunity laws affecting mortgage lending, Community Reinvestment Act, and the state housing agency. A study of the different types of building systems and materials used in the design and construction of real property. Covers residential construction and commercial building systems and materials. Includes different structural building systems with emphasis on wood-related products, concrete and concrete masonry, brick, stone, and steel units. The Texas Real Estate Commission Promulgated Property Condition Addendum will be addressed along with inspector and client agreements, tools and procedures, and electro-mechanical system. A study of law of agency including principal-agent and master-servant relationships, the authority of an agent, the termination of an agent’s authority, the fiduciary and other duties of an agent, employment law, deceptive trade practices, listing or buying representation procedures, the disclosure of agency, and related subjects. A study of the different types of building systems and materials used in the design and construction of real property. Covers residential construction and commercial building systems and materials. Includes different structural building systems with emphasis on wood-related products, concrete and concrete masonry, brick, stone, and steel units. The Texas Real Estate Commission Promulgated Property Condition Addendum will be addressed along with inspector and client agreements, tools, and procedures, and electro-mechanical systems. Overview of real estate broker and salesman license; ethical practice; titles and conveyance of real estate; legal descriptions; law of agency; deeds; encumbrances and liens, personal and real property; contracts; appraisal; finance and regulations; closing procedures; real estate mathematics; and federal, state, and local laws relating to housing discrimination, housing credit discrimination, and community reinvestment. Real Estate Agent Jumpstart – How to get a new Real Estate Agent up and running in 30 days. Learn how to create a successful business plan and generate cash flow within 30 days. Will also learn the seven critical sales skills for success. A “how to” approach to determine the market and economic feasibility of real estate development. Principles and techniques used in the valuation of commercial property. Topics include purposes and function of an appraisal, social and economic forces affecting value, appraisal case studies, cost, and income approaches to value. 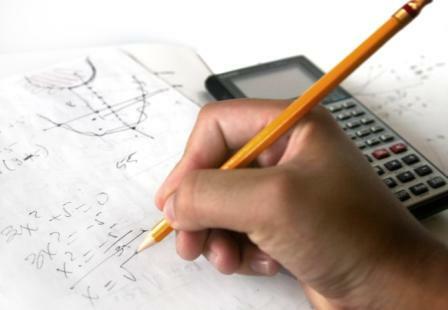 Mathematical logic and basic arithmetic skills including percentages, interest, time-valued money, depreciation, amortization, proration, and estimation of closing statement. A study of real estate professionalism and ethics; characteristics of successful salespersons; time management; psychology of marketing; listing procedures; advertising; negotiating and closing financing; and the deceptive trade practice act, consumer protection act, and commercial code. An overview of the U.S. monetary system, primary and secondary money markets, sources of mortgage loans, federal government programs, loan applications, processes and procedures, closing costs, alternative instruments, laws affecting mortgage lending, and the State Housing Agency. A study of the role of the property manager, landlord policies, operational guidelines, leases, lease negotiations, tenant relations, maintenance, reports, habitability laws, and the Fair Housing Act. A review of real estate contracts required by Section 6A (3) of the Real Estate License Act with emphasis on general contract law requirements. Also covers the purpose, history, and working process of the Broker-Lawyer Committee. Includes preparation of real estate contract forms with emphasis on the most commonly used forms. Provides a study of legal concepts of real estate, land description, real property rights, estates in land, contracts, conveyances, encumbrances, foreclosures, recording procedures, and evidence of title. Financing, evaluation, and management of real estate investment. Emphasis on real estate investment characteristics, techniques of investment analysis, time-valued money, discounted investment criteria, leverage, and applications to property tax implications of owning real estate. A study of the central purposes and functions of an appraisal, social and economic determinant of value, appraisal case studies, cost, market data, and income approaches to value estimates, final correlations, and reporting. Overview of licensing as a broker or salesperson. Includes ethics of practice as a license holder, titles to and conveyance of real estate, legal descriptions, deeds, encumbrances and liens, distinctions between personal and real property, appraisal, finance and regulations, closing procedures, and real estate mathematics. Covers at least three hours of classroom instruction on federal, state, and local laws relating to housing discrimination, housing credit discrimination, and community reinvestment. Fulfills at least 30 of 60 hours of required instruction for salesperson license. A study of the central purposes and functions of an appraisal, social and economic determinants of value, appraisal case studies, cost, market data, and income approaches to value estimates, final correlations, and reporting. An overview of licensing as a real estate broker and salesperson, ethics of practice, titles to and conveyancing of real estate, legal descriptions, law of agency, deeds, encumbrances and liens, distinctions between personal and real property, contracts, appraisal, finance and regulations, closing procedures, and real estate mathematics. Also includes federal, state, and local laws relating to housing discrimination, housing credit discrimination, and community reinvestment. Promulgated Contract Forms, which shall include but is not limited to unauthorized practice of law, broker-lawyer committee, current promulgated forms, commission rules governing use forms and case studies involving use of forms. A study of law of agency, planning and organization, operational policies and procedures, recruiting, selection and training of personnel, records and control, and real estate firm analysis and expansion criteria. Texas Real Estate Commission (TREC) Requirement – The Real Estate Brokerage course must be completed not more than two years before the application date. - Follow each red link to view the required courses for each license: Broker License, Sales License. Thank You for Your Interest in Finance.